Indonesia comprises over 17000 islands lying between the Indian and Pacific Oceans: it is the world's largest archipelago. 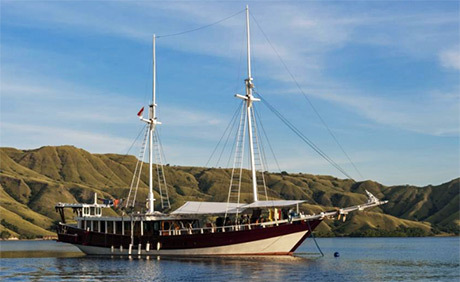 There is world class diving in Indonesia: we especially recommend Komodo. Indonesia is in the coral triangle, so called for the many different species of hard coral found here. Indeed the coral triangle holds 75% of all the world's species of coral.1 Here nutrient-rich currents from the Pacific and Indian oceans collide, providing planktonic food for corals, fish larvae and giant filter feeders like manta rays. There are eight major islands and island groups in Indonesia. These are Sumatra and the Greater Sunda Islands, Java, Kalimantan (Borneo), Sulawesi (Celebes), West Papua (which features Raja Ampat), the Molluccas, the Lesser Sundas (Nusa Tengarra) and Bali. This page covers diving centres outside Bali. The diving centres of Bali are on their own page. By booking your diving holiday through AquaMarine, you may be eligible for free or discounted domestic flights, free accommodation or upgrades, private dive guide, free transfers, free diving, free Nitrox, or a host of other great add-ons. Based in Bali, AquaMarine continually updates their Special Offers for diving throughout Indonesia. They are currently offering trips to Alor, Ambon, Bangka, Bunaken, Cendrawasih Bay, Gili Islands, Gorontalo, Komodo, Lembeh, Maluku, Maratua, Naumere, Raja Ampat, South Lombok and Wakatobi. Find out more about AquaMarine Diving - Bali. 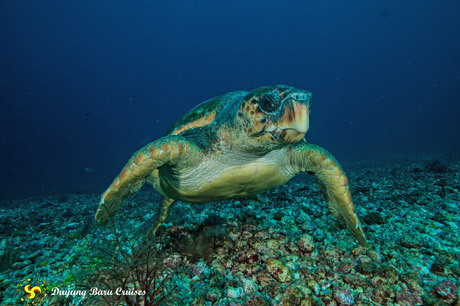 Fantastic diving in the Lesser Sunda Islands - we recommend Komodo for wild currents, manta rays, sharks, giant turtles plus small stuff like seahorses. The Lesser Sunda Islands stretch out to the east from Bali. They include Lombok, the Gili Islands, Sumbawa (all in the West Nusa Tenggara province), Komodo, Flores, Sumba, West Timor, Alor and Rote Island (which are in East Nusa Tenggara province, the most southerly in Indonesia). The diving around Komodo is fabulous. Go! Day boats and liveaboards alike depart from Labuan Bajo in Flores. 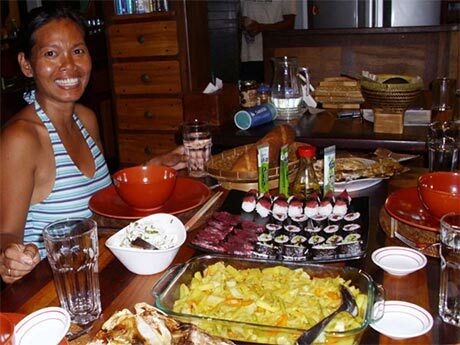 There are loads of places to stay in Labuan Bajo, but it does get busy in July and August - book before you go. If you should turn up and have difficulty finding somewhere, try further up the hill away from the main street. An international airport is coming to Flores, meanwhile you can fly there from Bali (Denpasar) or Jakarta. Avoid Batik Air - we have had bad reports of them. This year I dived Komodo on the Duyung Baru and highly recommend it. For a start this liveaboard takes just six divers in three cabins. With the co-owner and dive guide Vovo Korth taking a dim view of crowded dive sites, often the seven of you will be the only people in the water. Vovo's wife Yani is the captain and cook. Her food is delicious, created with care and love. She gets up at three in the morning to make fresh bread for breakfast - from loaves to croissants. Not only a great cook, she is most friendly and welcoming. Vovo bought his first boat in 1998 and called it the Duyung - Indonesian for mermaid. He has been sailing Indonesian waters ever since. When he and Yani started the liveaboard operation around Komodo only one other boat was operating, and Vovo made many exploratory dives. He has an intimate knowledge of the dive sites of Komodo with their wild currents, including a couple of "secret sites". The couple commissioned their current boat in 2011, calling it the Duyung Baru or New Mermaid. Two double cabins and one twin cabin house the divers. There is plenty of storage space and ensuite shower and toilet. The beds are extremely comfortable. On the canopied deck are a sofa and chairs around a coffee table plus a sun terrace upstairs. The boat is 27 m long with two masts - a beautiful looking craft. Nitrox is available. Finally to the diving. This is world-class. Sharks and turtles on nearly every dive. Eagle and manta rays. Many huge shoals of fish. Corals in excellent condition. There are also dive sites for those liking the smaller stuff - seahorses and frog fish. The boat doesn't have a set routine of dives - it depends on the type of dives that the divers on board want to do. If you really want to see that seahorse and not another manta ray, then you'll have to sell it to your fellow divers. The boat is only for experienced divers. Vovo likes you to have at least 75 dives. I would go further and say that you need to have experience of currents. The diving in many sites is not easy - the currents are fierce, especially at full and new moon (which is why there are so many large fish there). It is assumed you know what you are doing. At the beginning of the trip is an easy dive or two to practice using a SMB (surface marker buoy or "safety sausage"). Not until Vovo is satisfied that you can use the SMB will he take you on one of the the more challenging dives. That way if you should get separated from the group the tender will easily see you and pick you up. Vovo is also a freediving instructor and there is an opportunity to take a freediving course if you wish. Although we dived with Vovo, on many trips one of his two experienced divemasters takes his place. German, English and Indonesian spoken. 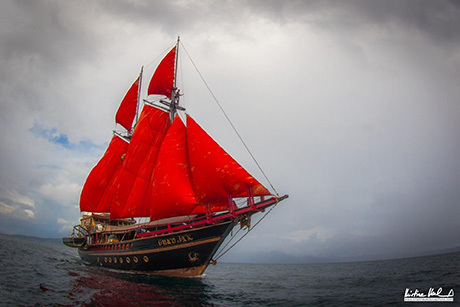 If you have any questions about this liveaboard, Komodo or Labuan Bajo please email Jill. If the Duyung Baru is full then look at the Calico Jack. Built in 2014 and refurbished annually, the 30 m vessel takes 10 divers. Day trips, liveaboards and PADI courses. "I dove with Komodo Dive. I would highly recommend them! They were incredible! Very knowledgeable, professional and fun! I love that their company also focuses on hiring locals as well. The equipment was well maintained and their boat was new! " Day trips, liveaboards and PADI courses. Also provide accommodation.
" I've been diving with Blue Marlin Dive for over a month whilst doing courses and my DMT, incredibly knowledgable crew and wonderful banter - plus a speedboat for 3 dives and back before 4!! " "I think you should list Uber Scuba Dive Center in Komodo, they were really great. Excellent value for money as the owners put so much attention to detail. Their boat is brand new with a 6 cylinder engine, and it's huge! There are 3 areas to relax on, plus a big bench for dinner. The food was exceptional - I understand they are the only operator to have a kitchen on board. WE had an amazing lemongrass curry with herbed rice plus guacamole nachos and they even cooked us pancakes in the shape of Manta Rays. Really special. The equipment is brand new and I felt very safe and in the hands of very experienced guides. Uber Scuba is located on the main street of Labuan Bajo in Flores - Labuan Bajo is easily reached via flight from Bali. This is where all the dive operators start from as in Komodo National Park there is a building ban. The boat ride is just 40 minutes from the first dive site so plenty of time to be briefed on our skills and to relax - we even saw a pod of dolphins! We did our advanced open water course plus an extra day of diving. The Advanced course was $350 which I thought to be incredible value. We saw a Manta Ray, countless turtles, sharks and ghost pipefish among many others. The dive sites are amazing and the best I have ever seen, rich coral and plenty of marine life. " " Komodo and Maumere Diving." Dive Komodo and Indonesia's remote eastern islands. "Two brothers run this show and it's amazing. Talk about pristine or abudance of marine life...that's your ticket. Trying to plan another trip with them to Irian Jaya-Raja Empat. One of the best places I have dived. Mantas galore!! Lotsa small stuff too...simply amazing. " We have so many dive sites around Komodo National Park." "We are PADI divecentre on a small island, called Kanawa, at the edge of Komodo marine park. The island has an amazing house reef to explore day and night. We offer a full range of PADI courses, daily trips into Komodo for 2 or 3 dives and have a small resort of 14 bungalows "
Ed Statham (Kanawa Island Diving), 2011. Alor is another place with fierce currents. It is at the eastern end of the Lesser Sunda Islands, to the right of Flores and north of West Timor. Alor is less dived than some areas of Indonesia and has very healthy corals. 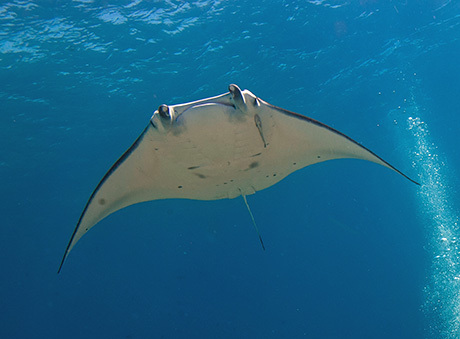 You can dive Alor by liveaboard or from a dive shop. There is a small airport- the Alor Mali Airport (ARD). All flights are via Kupang Airport on West Timor. You can fly here from Bali or Jakarta but will need to change planes at Kupang. "Alor archipelago is one of Indonesian last frontiers. Alor and Pantar are the main Islands and the strait between the two is a world class dive attraction. Alor Divers is situated on Pantar Island in north part of Pantar strait. The dive sites are within 5 to 30 min speed boat from the resort. Underwater richness offers to admire a palette of virgin coral slopes, walls, scenic rock formations and pinnacles. The house reef extends several hundred meters and is a drop off, alternating between steep slope and vertical wall, with generous growth and excellent fish life. Alor is a place for incredible surprises! 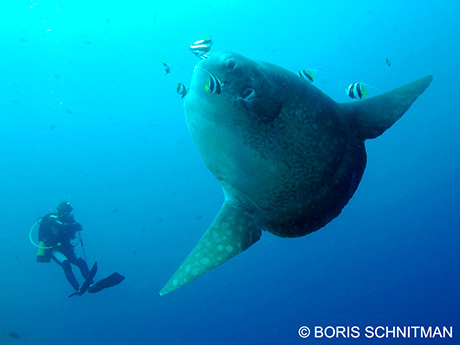 Sunfish, thresher shark, whales, marlin have been seen many times. Napoleons, giant trevally, reef shark, turtles, barracudas, eagle and devil rays, giant grouper, huge dogtooth tuna and more are usually encountered. The colourful slopes are home of mandarin fish, frog fish, blue ribbon eel, leaf fish, harlequin ghost pipe fish, pygmy sea horse and more. Our intimate resort is situated on a 400 m long white sandy beach. In a stretched layout, all of the bungalows as well as the restaurant are right on the seafront. The thatched roofed bungalows are built in the traditional architectural style. Interior equipment and d�cor are designed with simplicity to enhance the pristine spirit of the place. There is a private bathroom with western style toilet and shower (hot and cold running water)." Gilles of Alor Divers, 2009. 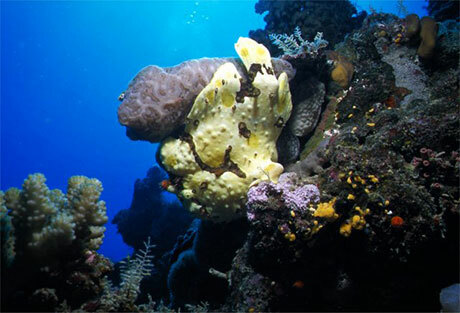 "Alor diving with Dive Alor is the best diving I have done in my 20 years of world diving. Donovan and Graeme Whitford of Dive Alor have been diving there for the past 16 years and done 4,000 dives in the Alor Islands alone. These guys really know the sites because they are the origional founders of the diving in Alor. Pelangi Indah Hotel is clean and comfortable with a garden setting. Boat is large with 14 diver capacity, large dry area, sun deck, twin engines, freshwater showers. Don't miss out on the diving holiday of a lifetime. Dive Alor TODAY." "excellent dive center, great service and choice for dive spots. " "This is a new dive resort on the most southern island of Indonesia with many new dive sites and still many to explore and find. It's a small dive shop at the moment, we can handle 4 guests on a dive trip. A dive trip costs around 100$ depends to which divesite we go to. The resort has rooms starting from 30$ per night with all meals included. 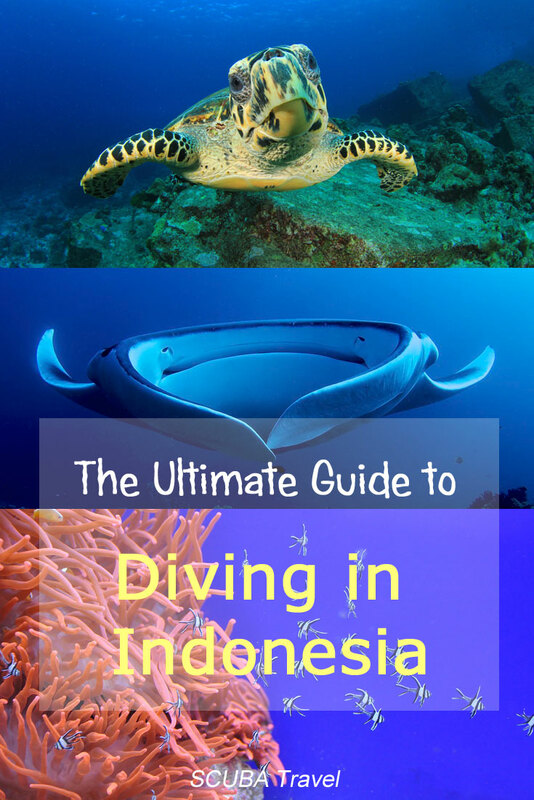 The diving is about the same as in Bali and much better then the Gilis or Thailand. " A devastating earthquakes hit Lombok in August 2018. The damage on Lombok, and the neighbouring Gili isles was considerable. Hundreds were killed and thousands injured. However, the dive shops there are now reopening. Lombok is just east of Bali whilst the Gili Islands are a group of three tiny islands off Lombok - Gili Trawangan, Gili Meno and Gili Air. The largest is Gili Trawangan and this is just 3 km long by 2 km wide. The diving here is easy and the Gili Islands are a good place to learn to dive or to progress your training. The Gilis are famous for their turtles. A turtle sanctuary on Gili Meno looks after turtle eggs and baby turtles before releasing them into the sea. You will often see several turtles on a dive. "Amazing company, learned to dive on this tiny island, I would definitely dive with them again, hopefully soon." "Located a few minutes walk from the main dock on Gili Trawangan, Aquaddiction is a small dive shop with a great atmosphere. With the emphasis on small dive groups and long dives Aquaddiction is a welcome change from the 'factory' approach to diving so often found in Asia. Our beachfront location is the perfect place to chill out between dives, study for courses and, of course, to hold our famous beach BBQ's!" "We are a Padi 5 star instructor development dive resort. Oceans 5 teacg also Reef Check and IAHD courses. The diving is great, small group, excellent guides who show you all the fish you want to see! Professional team and dive centre. Diving: $38 a dive. Bungalows $55 a night." "Ms. Moana Liveaboard, clean, luxury, great crew and fantastic boat, will return next year. USD 980, all included with more then 28 dives Top of my best places I ever been. " Established 2005 - dive Lombok and the Gili Islands. Dive The World offers dive resorts in Bali and Sulawesi � Wakatobi, Manado, Bunaken Island, Togian Islands and Gorontalo plus diving liveaboards to Komodo, West Papua (Irian Jaya), Raja Ampat, Lembeh Strait, Bangka, Togeans, Alor, Banda Islands and Flores. Blue Bay Divers Indonesia is a dive base situated on the island of Sahaung in front of the north peak of North Sulawesi, Indonesia. A small resort with a long, white sandy beach, surrounded by palms and mangroves - it is situated in the middle of a number of good dive areas and the natural uniqueness of North Sulawesi. Sahaung is based in the Bangka/Gangga Archipel and offers a starting point for diving in the North Sulawesi areas : Bangka/Gangga Archipel, Bunaken National park and the famous Lembeh Strait.
" We are 4 french divers and we just opened a resort for divers near Manado in North Sulawesi, Indonesia. We are close to the world famous diving spot of Bunaken. We pick you up at the airport and bring you to our place where you will enjoy amazing divings, delicious international food, and good rest at our swimming pool in the tropical garden. Manado is just a little bit more than 3 hours from Singapore with frequent direct flights." From your room in Tasik Ria Resort to the diving boats in just a couple of minutes. Bunaken national park is only a 45 min boat ride away. Offer local dives which are only a few minutes by boat, or shore dives if you don't want to be away from the luxury of the pool bar or Matana spa. "Exclusively located in the heart of the world renowned Bunaken National Marine Park, Manado, North Sulawesi, Indonesia just above the Equator on the lush tropical island of Pulau Siladen, we offer you an authentic, relaxing and a memorable experience. Opened in 2003 we are an ecofriendly, socially responsible boutique dive resort, which places high emphasis on the protection of the Marine Park and the environment. Enjoy a full range of activities, spectacular sunsets, quality service, peace, tranquillity and relaxation. Siladen Resort & Spa is a 5 Star PADI Resort. Here you will enjoy a safe, exclusive and memorable diving experience. Thanks to our strategic location in the heart of the Marine Park, over 50 premium dive sites are within easy reach of the Resort.�"
"Professional and friendly staff in a breathtakingly beautiful setting." " Would definitely dive with them again! Friendly but extremely professional. Fabulous for photographers. Very different diving as most of it is muck diving and we are more used to the reef and pelagic diving of South Africa, Red Sea, Maldives and other such Indian Ocean diving." 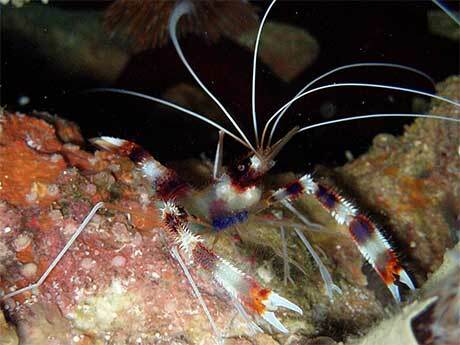 Lembeh boasts the Hairy Shrimp as part of its assortment of hairy residents. Hairy shrimp (also called Algae shrimp) are one of the tiniest critters in the Strait (like really really tiny). They often move about resembling floating bits of algae in either brown, green, or yellow. The video shows a fascinating collection of “hairy shrimp” (Phycocaris simulans), many with eggs. Also keep an eye out for one scene with two of them in one frame. Enjoy! "Lembeh Strait is the mecca of critter diving, with more than 40 dive sites showcasing the biodiversity that Indonesia is famous for. Lembeh Resort, a truly spectacular boutique-style dive resort has been honored 4 years running by Travelers Choice Award - #1 in N. Sulawesi and Top 25 for BEST service in Indonesia. The Resort offers 14 spacious ocean view cottages with perfect views and spectacular sunsets over N. Sulawesi's highest volcano or 6 garden view rooms nestled in beautifully manicured indigenous gardens. In addition to modern room amenities, spa treatments and wifi are available. Lembeh Strait is world renowned for its rare marine life, the dive center Critters@Lembeh has the first and only dedicated photo center, full-time Photo Pro and Marine Biologist in the Strait. Boasting nearly 60,000+ combined Lembeh Strait dives, the professional and knowledgeable dive guides delight in uncovering the secrets of these waters. All Guides are fully trained and accredited. Each guide is trained to assist guests with "critter" identification. The in-house Photo Pro trains the guides in the skill of photography, to better assist underwater photographers with capturing those perfect shots. " 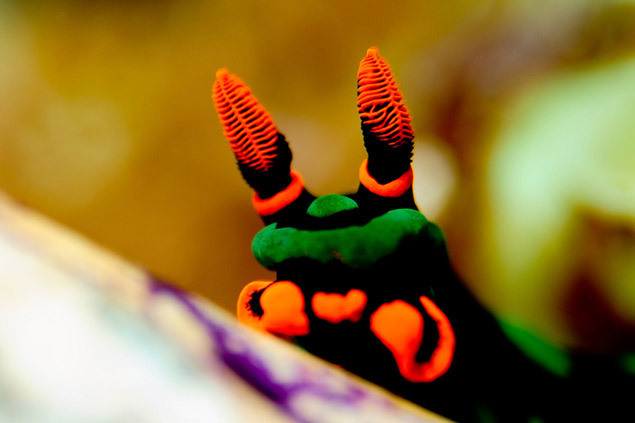 " We are a small British run dive resort situated on Lembeh Island (Pulau Lembeh). We offer free housereef diving on packages, and have unlimited free Wifi and great international cuisine. We are the only operator in the area with on site photo professionals and can offer sales of various underwater photography equipment. The island of Bangka is sparsely inhabited and doesn't have the facilities for large numbers of tourists, its ecosystem is almost fully intact. This ensures not only amazing natural scenery but also fairly good numbers of species that are in decline worldwide. The presence of Dugongs and large numbers of Dolphins year round indicates that fish stocks are still intact and this attracts seabirds by the flock.
" Bangka is a hidden jewel, a small resort just started last year but with potential and growth plans. Bangka Lagoon on Banka Island just north of Sulawesi and the well known dive areas of Lembeh and Bunaken. A special one week package all-in board and meals was 470 Euros with 12 dives." Sumatra is the fifth largest island in the world and is bisected by the equator. The monsoon season starts in November and ends in February. May to September are the best months to go. "A very friendly, accepting and laid back atmosphere welcomes everyone to Rubiah Tirta Divers (RTD). With a well balanced mix of Indonesian and International staff, helpers, hangers-on, old friends and new customers. We have a PADI-Dive Course, Fun-Dive, Dive-Trip, etc. " Java contains the capital of Indonesia, Jakarta. It is the hub for flights to other parts of the country. Java lies right of Sumatra and East of Bali. The islands of Indonesia appeared through volcanic activity from west to east. In Java, the west part of the island is five million years older than the east. Derawan Dive lodge is a cosy, intimate island operation just off the coast of East Kalimantan. Two specially commissioned fuel efficient speedboats, and fully self contained dive centre including NITROX. With mantas, turtles, reefs, macro and even a jellyfish lake on the agenda.� Situated right on the beach, it's a mix of comfortable cosy atmosphere meets ecology. Maluku Tenggara are islands in the Maluku Province in the east of Indonesia by the Banda sea. "Explore a huge unknowned area, be a pioneer! Max. group size 4 people PER BOAT! No others divers around! Be the first and only one! If you we do together an exploration dive and you like the dive you can name the dive site after you!! This is one of the best places for experienced divers who dived all our planet - one of the last place to explore unknown places with the world-famous amazing rich biodiversity of South-east-Indonesia - highest biodiversity under water on our planet! And of course we offer the full range of any doable course here in a perfectly safe and calm environment (no current, good visibility safe conditions, already astonishing under water experiences from the first dive on), we are a SSI Dive Center but our Instructors are also PADI members so also PADI courses are available. Introduction dive / OWC / AOWD / Rescue / EFR/React Right / Nitrox / PADI Divemaster / SSI Science of Diving / SSI Dive Guide and many specialties more will improve your diving skills and knowledge - just contact us for your individual request. We'll make you happy - promise! " West Papua is the Western half of the island of New Guinea (Papua New Guinea being the Eastern half). It was formerly known as Irian Jaya. Included in West Papua is Raja Ampat, an archipelago of many small islands together with the main islands of Misool, Salawati, Batanta and Waigeo. 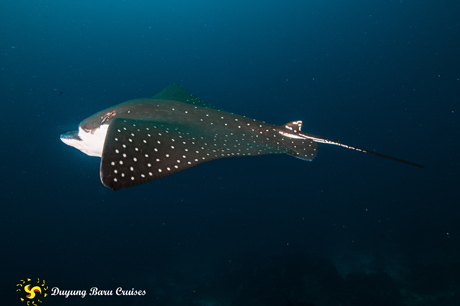 The WWF calls Raja Ampat one of the top liveaboard dive destinations in the entire world. The marine survey of the area in 2001 found nearly 1000 species of fish species, many previously unknown. Powerful deep-sea currents channel nutrients into Raja Ampat's fringing coral reefs, blue water drop-offs and seagrass meadows, supporting the food chain that feeds the spectacular diversity of marine life. A liveaboard trip is one of the best ways for divers to visit the Raja Ampat marine park area, but you can also stay at a resort. "Excellent dive resort. Well managed with good, modern boats, efficient procedures. Diving is local around Birie Island or around Kri, Fam Islands or Hidden passage. Huge variety of dive sites to meet all needs and levels. All the diving is wonderful , exciting, astonishing. Huge quantities of fish on most sites. Local dive guides are really good and all the staff are charming and helpful "
"Kali Lemon Resort is located in Cenderawasih Bay (Teluk Cenderawasih or Bird of Paradise Bay), a large bay in northern Province of Papua the west side was made a National Park in 2002"
"I would be happy to dive there again. Only here we can find Whale shark all the season. It is better to visit this place at dark moon because all the bagan get small fish and whale shark eat small fish ( puri ). The location of the bagan ( a place for collection fish, fisherman life and stay there) moves from one coordinate to another . Boat accommodation was include our payment, except local hotel in Nabire where we stayed on arrival ( the plane landed afternoon) before going to the national park the next day, cost around 30-40 USD. " From the authors of Diving the World, a new dive guide covering 400 popular sites in Southeast Asia. From the pristine, isolated reefs of Indonesia's Spice Islands to the lively marine and land environments in The Philippines' Puerto Galera. It also features helpful listings of where to stay, eat and drink and who to dive with. Essential for your trip to Raja Ampat and Northern Indonesia. Fish species guides to be taken in the water. A photographic journey through underwater Indonesia. Please send us your comments on diving in Indonesia. Do you want to recommend a diving centre? Let us know. Photo credits: Tim Nicholson, Vovo Korst, David Collins, Jill Studholme, SCUBA Travel.